With Slabware you have control over all your slabs/remnants, such as quantity, location, status, measurements, photos, and much more! This version is specially design for Stone Fabricators. 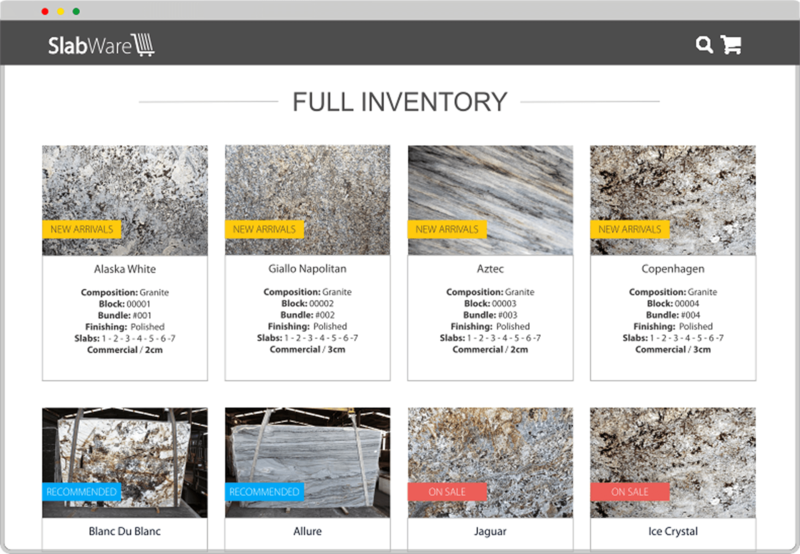 It will organize all slabs and remnants activities and provide your end customers an easy inventory view experience. Manage all your slab yard thru SlabWare, including your remnants! 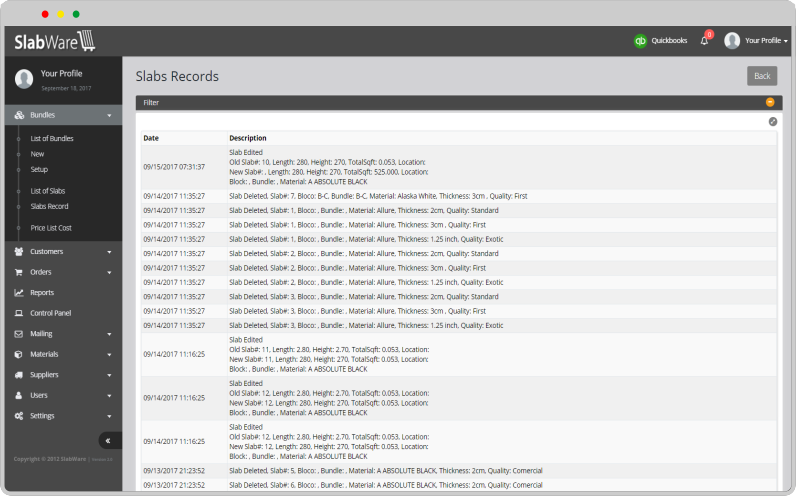 Track all slabs’ (or remnant's piece) history, such as availability, cuts, sales, loss, etc. Your customers will be able to view your live inventory, wherever they are! 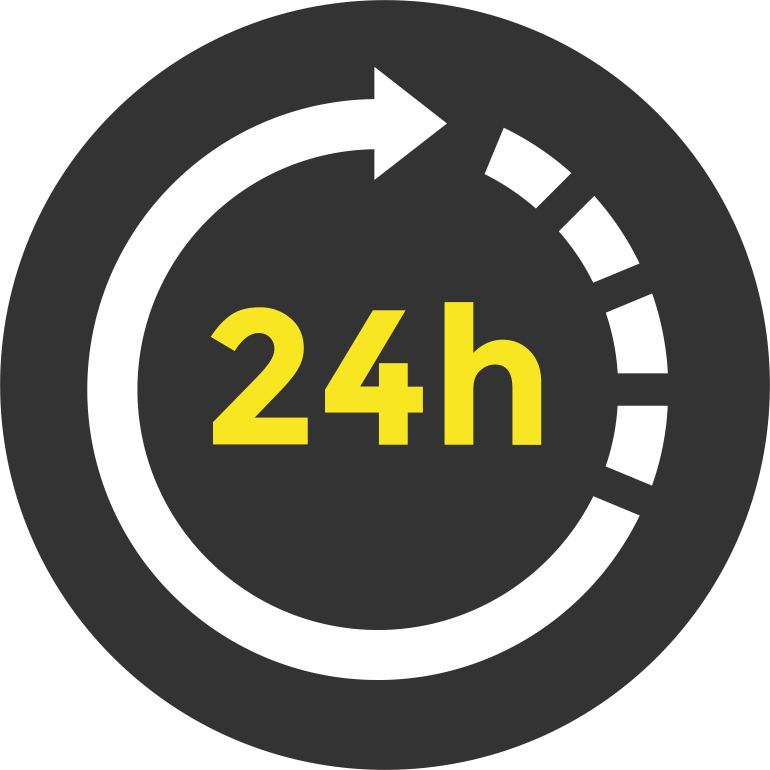 Best of all, online 24/7. 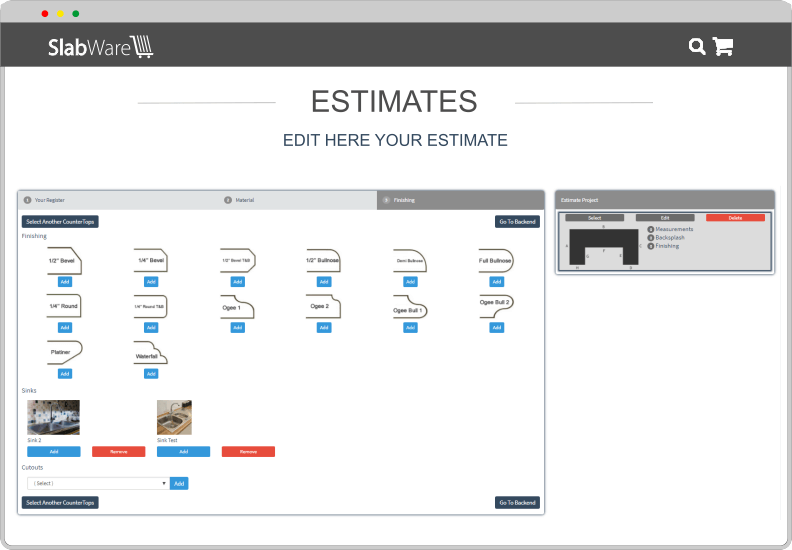 Manage all your Estimates and Jobs using your actual slab inventory and remnants pieces thru SlabWare. You can even give your end customers the ability to choose the materials they want and to simulate their kitchen’ layout in your SlabWare website. Simplify your life! 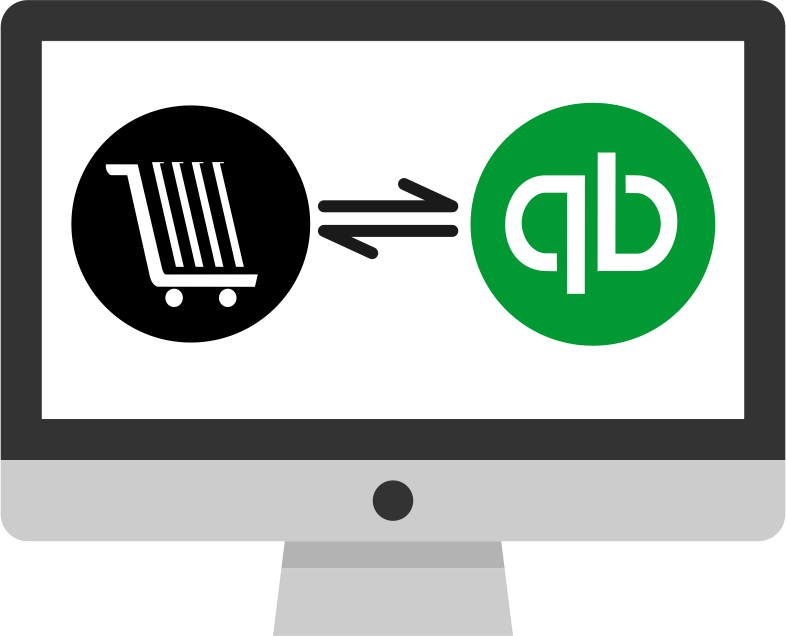 Sync all your accounting and financial data from QuickBooks Plus to SlabWare. Simplify your life! Sync all your accounting and financial data from QuickBooks to SlabWare.